Tonight, a source close to vice president Sam Sumana told the Sierra Leone Telegraph, that the expelled vice president has been advised by lawyers to commence legal proceedings against the ruling APC party, led by president Koroma (Photo). But, with the vice president currently locked up at home in a self-imposed Ebola quarantine after the death of his bodyguard two weeks ago, it is not certain how quickly an application for injunction can be made to the courts. Legal experts say that, an injunction could grant the vice president a ‘stay of expulsion’ from the party, while the efficacy of the allegations against him are subjected to legal arguments in a court of law. 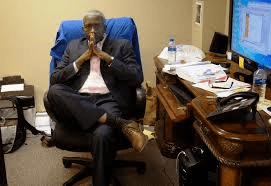 The expulsion of the vice president has raised several serious questions of impropriety by president Koroma himself – who also act as chairman of the party, and other key executive members of the party’s inner circle. A key issue in this saga is the harbouring of a suspected or known criminal, who has allegedly committed violent crimes in Kono. Does this not make president Koroma himself complicit or culpable to those violent crimes, which the vice president is being accused of? This question remains unanswered and must be tested in a competent court of law. But in the meantime, constitutional and legal experts have been dissecting the reasons given by the ruling party for the expulsion of the vice president. I have been following the recent events regarding the expulsion of the seating vice president of sierra Leone from the party and have come to the conclusion that if anything there was a lack of due process in all of this and the acts taken by the Party violates even its own constitution. (Photo: Alieu Iscandri). The right to a fair hearing is what we lawyers call Due Process. This includes the right to have your side of the facts be heard by an impartial panel and the right to be present. In the event that someone subject to disciplinary actions, due process and fairness demands that they may request permission to proceed by affidavits and declarations to have their side be heard. It is my understanding that Sam Sumana was not present at the last meeting of the National Advisory council of the APC and that his absence was due to the fact that he was on a self imposed quarantine on account of the fact that one of his security detail had mysteriously contracted the Ebola virus disease and died. Thus his absence was an excusable absence. The decisions taken against in him in his absence are thus appealable to a higher court by a writ of mandamus on the basis that said decisions were without merit and lacked due process of the law. If it seems that I am putting the cart before the horse and addressing the decision rather than the meat and potatoes of the case against Sam Sumana, it is intentional. 4. That he had formed another political party. Now, let us address these issues one after the other, so that we can make some sense out of them. This accusation if true, reflects just as badly on the APC as it does on Sam Sumana. One question that comes to mind is whether or not the APC had thoroughly vetted the VP candidate prior to the 2007 elections and why is it that it has come out at the 11th hour and end of its second administration to raise this as an issue. The APC has had 7 going on 8 years to raise this as an issue and its failure to do so suggest some manipulation on its part and an evil intent to replace him as is being suggested in social media as the heir apparent by the powers that be. Now, if it is in fact true that Sam Sumana misrepresented his educational qualifications then that is in and of itself an impeachable act and Parliament must convene with immediate effect on this matter. And while parliament is at it we must expose any and all persons who are misrepresenting their educational qualifications and have the relevant judicial entities review and verify these misrepresentations. There are people working for the government presently with fake PhD’s and Masters Degrees from non-existent universities and internet degree pools. However I doubt that any of these will be investigated if at all. I understand that Karamoh Kabba – one of the leading witnesses against the VP, is a former staunch SLPP operative prior to the 2007 elections, who later became a staunch PMDC member immediately prior to the 2007 elections, and who now I hear is a even more stauncher APC member, has no college degree. He may feel free to correct me if I am wrong on this note and by this note I have no intention of defaming him, but would like to have facts come out, that will show that ours is a government of liars, thieves, corrupt personalities and abject back stabbers. I would like to see his job resume and see what he stated there as his educational qualifications, and that goes for each and every one of the appointees of President koroma – whether to those with ministerial positions or governmental positions. Given however the publicly reported rift between the President and his second in command, including the fact that they have not been on speaking terms since about 2012, and the fact that the VP has been the victim of personal attacks by members of the President’s immediate team, with seeming impunity and no recourse from the president, one has a reason to question the genuineness of the recent expulsion in light of all these facts. Was the recent expulsion of the VP an act to maintain INTEGRITY within the party, or was it an act in the continuum of acts to discredit his person and eventually kick him out of a possible running for the presidency of Sierra Leone? As a Muslim myself, I am aware that becoming one is as simple as accepting Jesus Christ as one’s lord and savior to become a Christian. When one wants to convert to Islam, one needs only repeat the SHAHADA which states “ashaduanah la illla ah illah ashaduana muhammadan rasullualllah”, which roughly translates: “ I bear witness that there is one and only one God and that Muhammad is his prophet. That Sam Sumana had lied about being a Muslim is what we boxing enthusiasts call a low blow. To the best of my knowledge, being a Muslim or Christian or an animist has never been a requirement to enter into politics in our nation, and what this charge has done is to inject the issue of one’s faith into the vortex of our political discourse. And it is utter rubbish. As a matter of fact, I will spend no more time on it, because it is as shallow a charge as probably the person or persons, who ignorantly brought it up as a charge against the VP. What is clear from this specific charge, is that there is a dearth of thinkers in the APC party, as it is presently constituted, and that there are more back stabbers and sycophants than there are thinkers. I have never seen a more ridiculous charge, which by its nature, were the process legal natured, would have been subject to an outright motion to dismiss, which in all likelihood would have been sustained. Now, this is a serious charge that could not be sustained in the absence of a judicially conducted evidentiary hearing, which would conclusively prove beyond a reasonable doubt that the VP was complicit in any acts of thuggery. With regards to this matter also, there seems to be a dearth of facts to support this. If there were, it would have made a much more solid case against the VP. This case regarding this specific charge is built on unreliable hearsay, and must also be dismissed in totality. Conclusion is that in the absence of a court hearing – naming Sam Sumana as one of the parties involved in the acts of thuggery, and charges being proffered against him as a co-conspirator to those acts of thuggery, this charge is bogus and cannot be sustained. This is another ridiculous charge against the VP. The law regarding the formation of political parties in Sierra Leone is clear. The records at the PPRC should indicate if Sam Sumana’s name is amongst the names of those persons who have formed the political party that is in question. I cannot understand how a charge can be sustained with as little verifiable proof as this one. This is one of the records. These facts should be verifiable from the political parties registration commission’s records. And in the absence of such verification, then this is all bogus nonsense. The names of the people that form any political party are a matter of PUBLIC RECORD. In the absence of a showing of that public record that Sam Sumana was or is one of the signors to the formation of a new political entity, then these charges cannot be sustained. If these records were available, then in a judicial hearing they can be introduced over a hearsay objection as a Business record exception, upon proper foundational examination of the custodian of records. I must state categorically that this piece is NOT in support of Sam Sumana who, based on past interactions, I have come to distrust. This piece is in support of JUSTICE and the DUE PROCESS of the law. I believe that this is the second tabled attempt to kick Sam Sumana off the party. The first one failed woefully and for the reasons outlined in this piece, must similarly fail for lack of due process. It is my opinion that Sam Sumana is the target of some people within the APC, the president not excluded, who are intent to create a society of fear and insist on abject control of the masses, through unlawful manipulations of our governing rules to wit the constitutions of the state and the party. I believe that Sam Sumana should immediately file a writ of superdeas or of mandamus with the Supreme Court or a lower court of competent jurisdiction; seek an injunction to preclude any actions of the APC from being put into effect. I believe that an injunction will maintain the status quo and allow him time to file a brief on the issues. I believe that sections of the aforementioned APC constitution is vague and ambiguous and more specifically article 8 beginning with subsections 8.1.1 through 8.1.2 subsections I – through iii. I believe that Article 8 subsection 8.1.2(j) is an illegal clause since it precludes judicial review of acts which may affect certain national constitutional rights that an aggrieved may have. 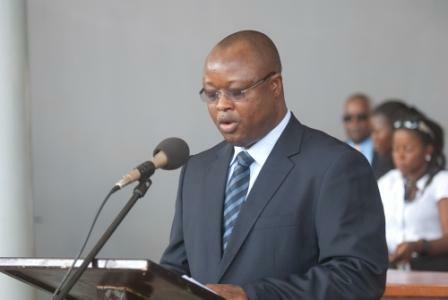 In this article, I have refrained to touch on the issue of whether or not Sam Sumana could remain to be Vice President of Sierra Leone to avoid confusion of the issues. This article focuses ONLY on the decisions made by the National Advisory Committee of the APC party, a group that my own father is a member of, and if at all my father was one of those who voted to expel the VP, then I must say that in his 83 years on this earth, he has at least this once showed a lack of understanding of the issues and failed to show the sense of good judgment that he taught me. The introduction of religious politics into a Sierra Leone that has apriori enjoyed freedom of religion, is a dangerous wading into the waters of religious strife, which if left to fester, will allow for extremists to enter and take a foothold in our society. The defense of Justice in Sierra Leone and in the All Peoples Congress Party, rests on these moving submissions. THANK U ALLIE, I LIKE THAT KEEP IT UP. becomes a controlled totalitarian regime. Thanks Alieu for throwing so much light into the political, legal, moral and national-interest implications of such big matter of grave concern for the political health and life of our country. I must admit that I have found your piece an invaluable informer not only to to myself, but to many many more of our compatriots at home and in the diaspora. Thanks once again for shedding light into this very important and much complicated issue that is of concern to all peace loving Sierra Leoneans, and for your honesty and brilliance. The vindictive actions of Ernest Koroma in respect of the latest saga involving the VP seem to be a puerile attempt to sow discord and mistrust within the body politic in Sierra Leone as well as distract the world’s attention from the questions which should be asked about the Auditor General’s report on the misallocation and misuse of ebola funds. Absolute power, as they say, corrupts absolutely. 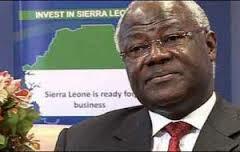 Leaders like Ernest Koroma should remember that the world is watching and judging them. Abuse of power and privilege has no place in modern democratic societies. Mr. Koroma may find himself answering for his crimes against the people of Sierra Leone in front of the International Criminal Court or a similar body in the not too distant future.